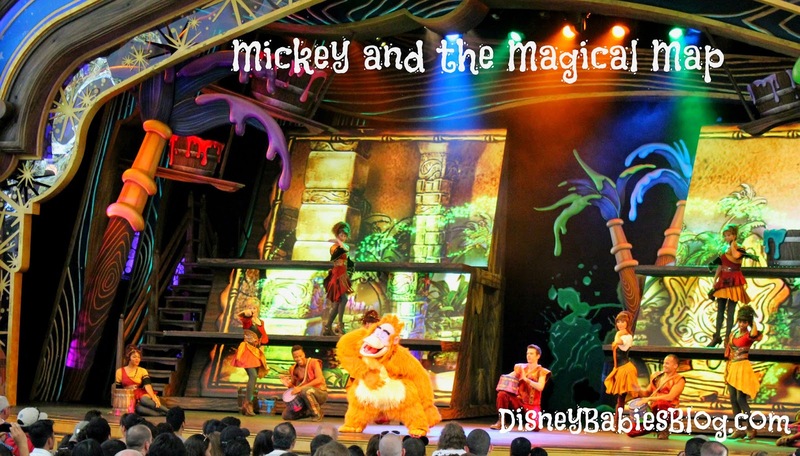 Though I've never been a stage show person at Walt Disney World (not really easy to do with 2 little ones in tow), I knew on our adults only Disneyland trip, we would have to see as much as possible! 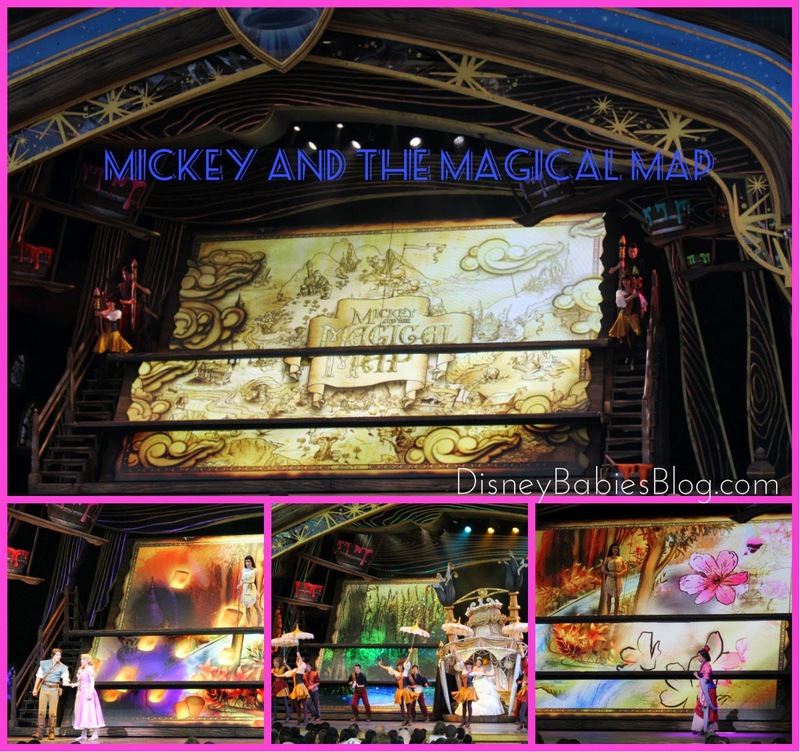 The 2013 production, Mickey and the Magical Map, was a must-do on our trip. I pulled out my handy times guide - which was very useful on this trip - and figured out where we would need to be to fit it in best. 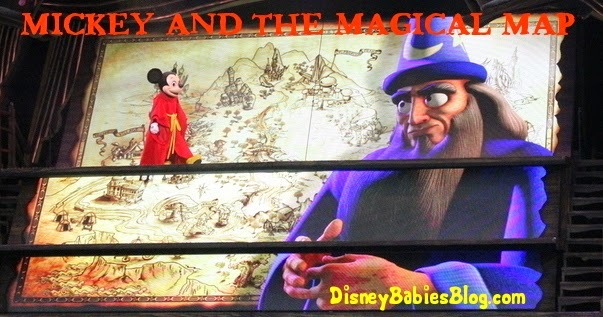 So, around 3 pm on our first afternoon, Adam grabbed a snack, and we headed to the theatre, located near the back of Fantasyland. We arrived around 20 minutes before the show to find the front nearly packed, but plenty of room in the upper seating sections. Going in without expectations, I loved seeing so many characters pop up to sing and dance. The dancing was good and fun, but what really struck me was the quality of the singers - several princesses came out to sing their signature songs - Mulan, Rapunzel, Pocahantas, to name a few. They all rocked the park. And, let me point out - as a professional musician, I am incredibly picky and a bit judgemental about music/singers. But, I didn't have a singly complaint - I actually thought about going back again just to hear them sing again (which, with so many other shows and attractions to see and do, didn't happen). This show is one of many things I hope stays in California - I love having new, different, and exciting things to see and do in Disneyland. It's such a great show and probably requires the talent that only LA (aspiring actors) would have! Shows like this, Aladdin, and World of Color are helping to turn Disneyland and Disney's California Adventure into a destination, not just a neighborhood park (though, I am definitely jealous of the locals!). Have you visited or would like to? I would love to help you plan a trip! Email me JennL@thewdwguru.com for more information!